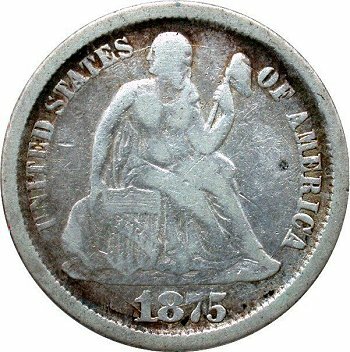 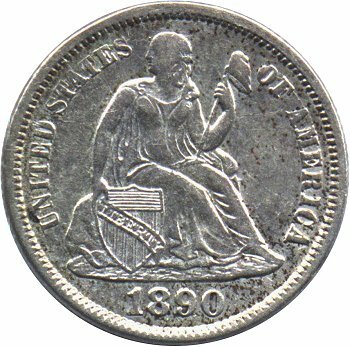 Based on the successful introduction of the Top 100 Liberty Seated Dime Varieties and the Top 25 Liberty Seated Dime Shattered Dies and current popularity with advanced variety specialists, Dr. Tim Cook proposed building a Top 25 Liberty Seated Dime Die Cuds advanced set. 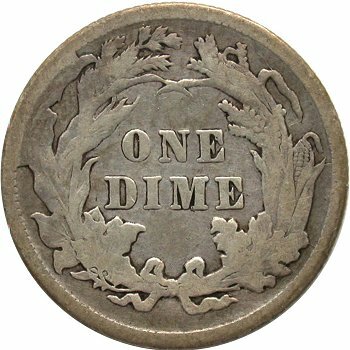 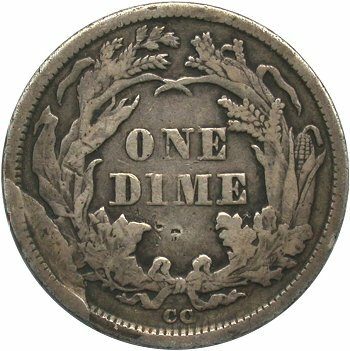 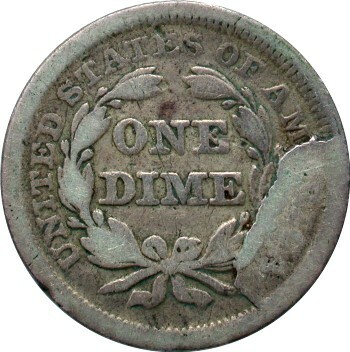 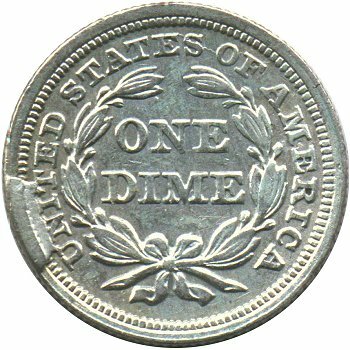 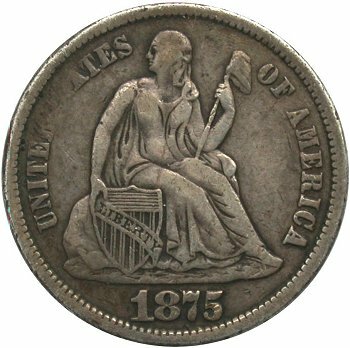 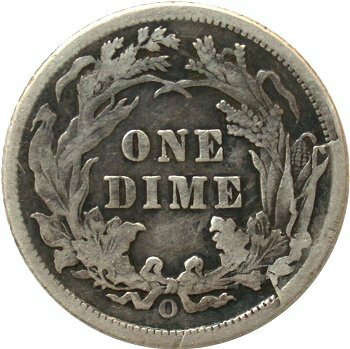 Following are Dr. Tim Cook's thoughts and guidance for seeking Liberty Seated Dime die cuds. 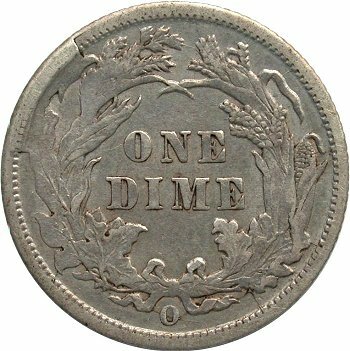 With the addition of the specialty set of shattered dies to the registry it seemed logical to take the next step to include a registry of seated dime cuds. As Gerry has stated " a cud occurs when a piece of the working die separates from itself resulting in a void. 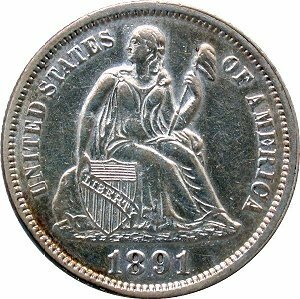 : As metal flows into this void it appears to be lifted up from the surface of the coin often originating from the rim." Numerous rim cuds exist but only a few of the more difficult and popular are included here. 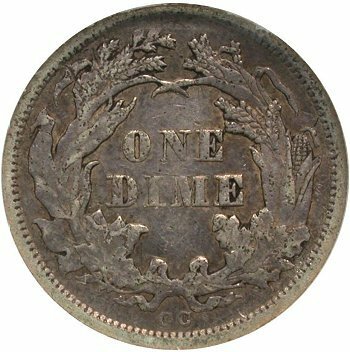 The most spectacular examples are cuds extending into the internal design elements and are usually quite rare and in great demand. 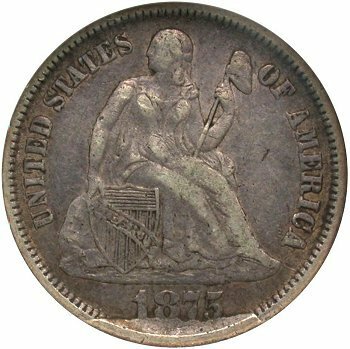 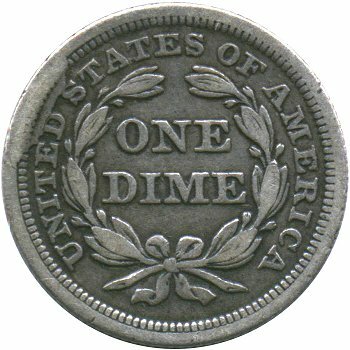 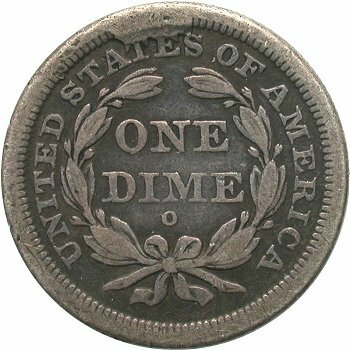 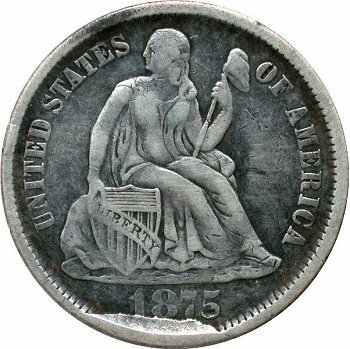 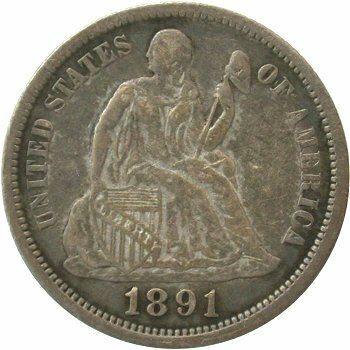 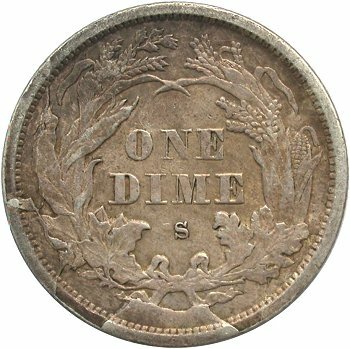 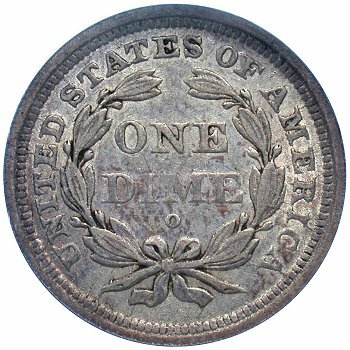 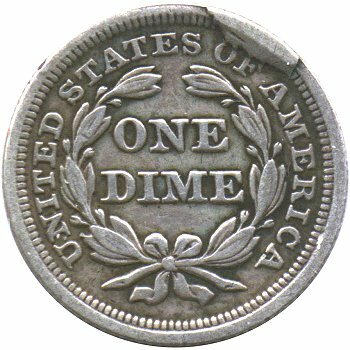 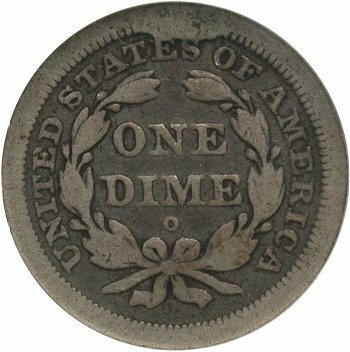 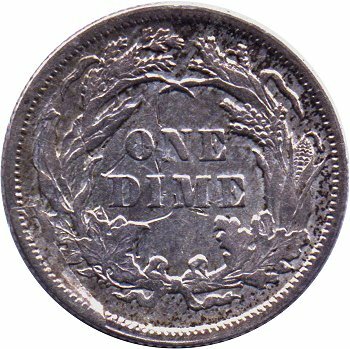 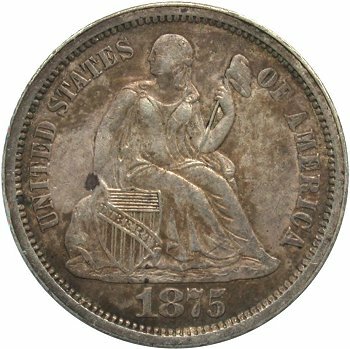 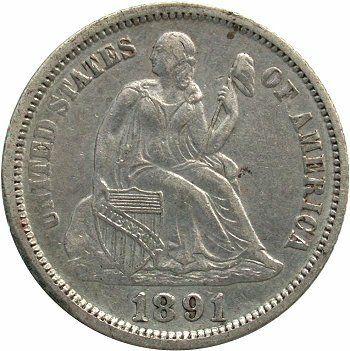 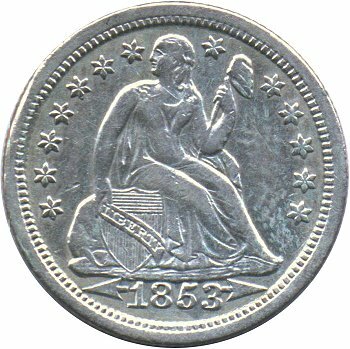 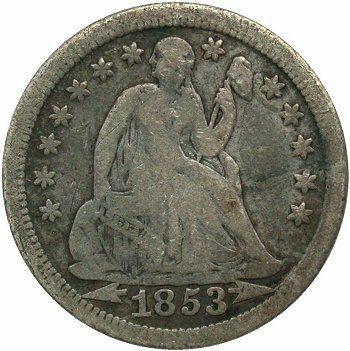 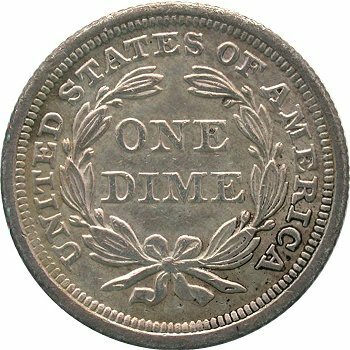 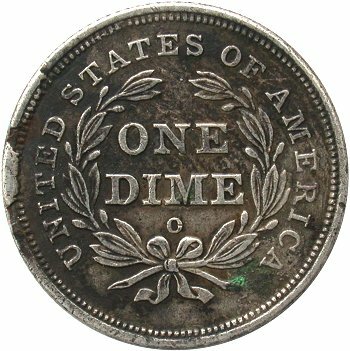 The reason for this rarity can be as obvious as the die being discarded shortly after breakage occurred or even the possibility that "damaged" coins of the last century were not valued and instead recycled or continued in circulation until oblivion. 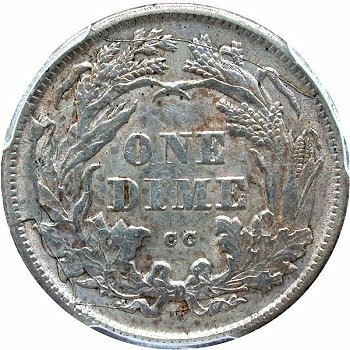 Evidence of this can be seen as most cuds are found well worn. 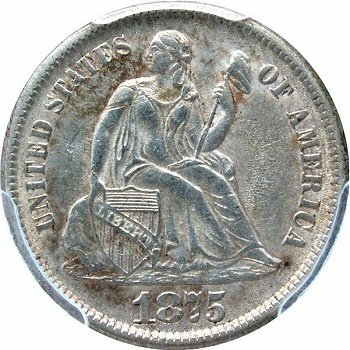 Completing a set of the Top 25 Cuds would be perhaps the most difficult open registry set to accomplish and likely taking decades. 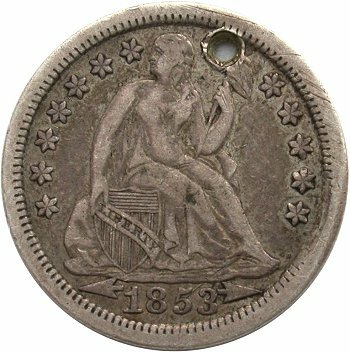 The set illustrated below might be considered more of a showcase of a combined collection of advanced sets. 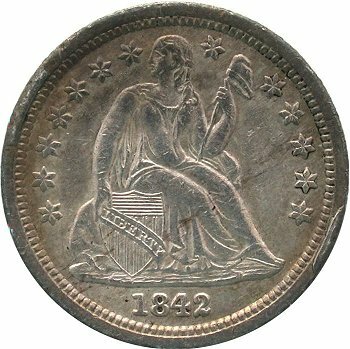 Much of this work began with Larry Briggs who collected various seated cuds, especially those of 1853 With Arrows over a period of many years. 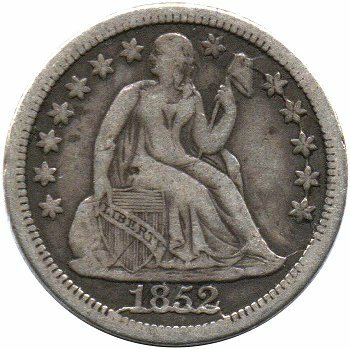 I was able to purchase this group at the Chicago ANA in the 1990s with Larry's dimes forming the core of this Top 25 cud dies set. I would like to thank Gerry Fortin for his opinions, coins, and photography and Jason Feldman for being a valuable sounding board for this work. 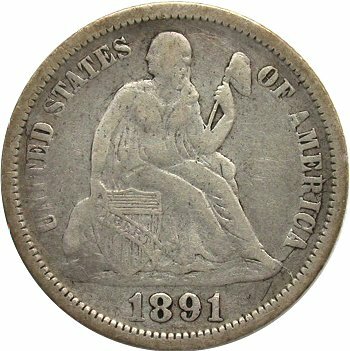 Much of my enjoyment in collecting seated dimes is have collegues such as these gentlemen. 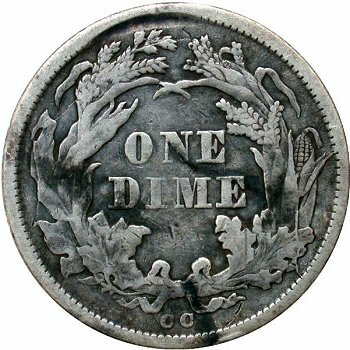 Below is the Top 25 Die Cuds table, which provides access to full page web-book descriptions by clicking the Date. 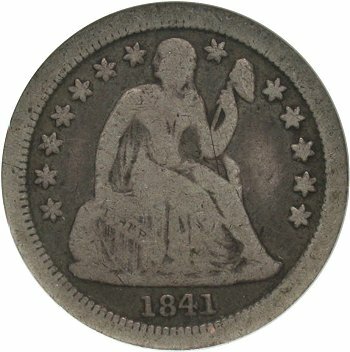 After the table, an image gallery description of each of the Top 25 cud varieties is presented. 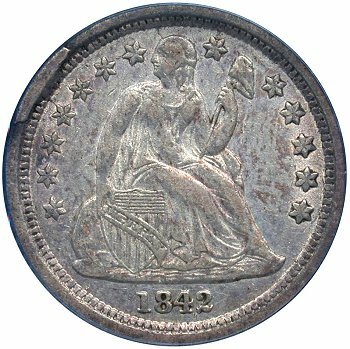 Readers can once again gain access to a detailed web-book description page for each cud variety by clicking any of the obverse or reverse images. 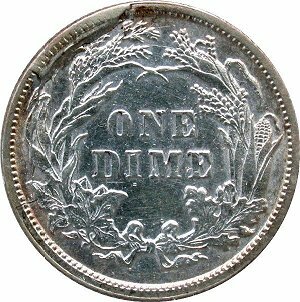 Two reverse rim cuds at 9:00 and 10:00 with the 9:00 cud extending into the denticles. 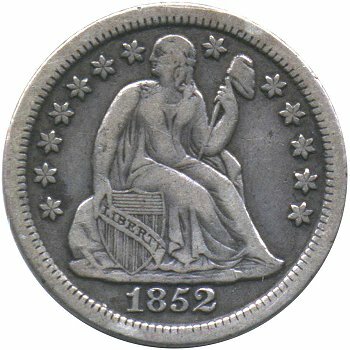 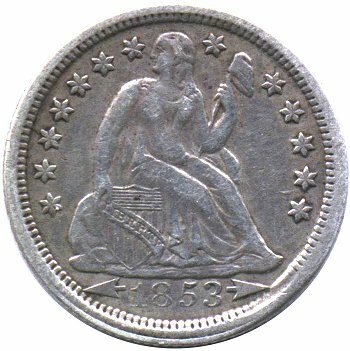 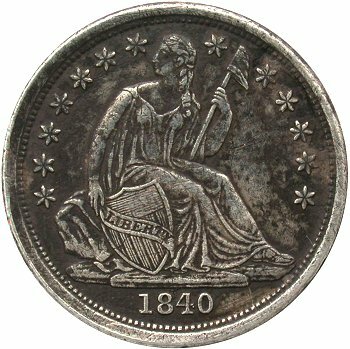 Reverse has Small O mintmark as employed in 1839. 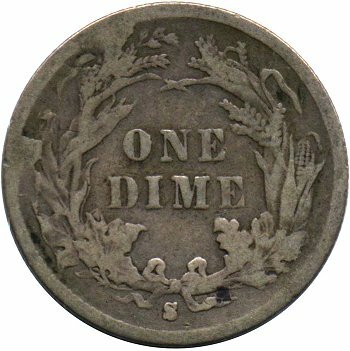 Obverse rim duds at 10:00 and 4:00. 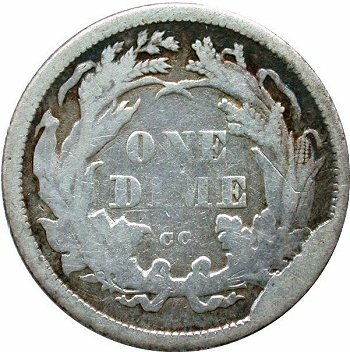 Obverse rim cud at 10:00 when paired with Small O reverse die.